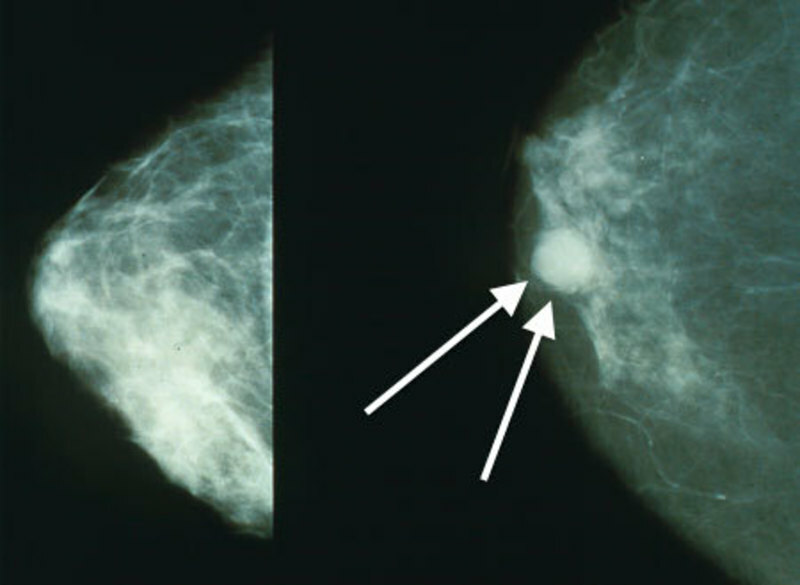 Mammograms showing a normal breast (left) and a breast with cancer (right, white arrows). Credit: Bakerstmd. Evgen Pharma has announced positive headline results from the open-label Phase II STEM trial of SFX-01 to treat patients with estrogen-positive (ER+) metastatic breast cancer. The STEM trial, which enrolled a total of 46 subjects, evaluated the safety and tolerability of SFX-01 in combination with an aromatase inhibitor (AI) or tamoxifen or fulvestrant. Evgen is planning further development of SFX-01 for earlier stage patients as an adjunct to a second line hormone therapy to delay the onset of resistance. Evgen Pharma CEO Dr Stephen Franklin said: “We are absolutely delighted with the trial result and it has galvanised our enthusiasm and commitment to ensure SFX-01 continues its development in breast and other cancers. “Apart from meeting the primary endpoints, we can also report that of the 46 patients in the trial, 13 registered for the compassionate use programme enabling access to the drug after completion of the study and the longest period for which a patient-derived clinical benefit was an outstanding 448 days. The primary endpoint with regard to safety and tolerability was the number and severity of treatment-emergent adverse events. When compared with other drugs used in cancer therapy, SFX-01 had a favourable side effect profile. Evgen recently announced that in the SAS trial of SFX-01 in subarachnoid haemorrhage, the last patient received the final patient dose, concluding the treatment phase of the trial.